Sure I could write about the salmon starting to run and packs of tuna marauding close to shore, but I have something else I need to get off my chest about my Triple C’s, during the last few weeks or so. The first C issue for me was when my newly designed truck Camper was not quite ready when I arrived in the eastern states. So I flew back for the Festival of Lisa ( last week’s article ) and RST courses. With my truck back east, I borrowed my son’s Hilux which just happened to have two bald front tyres, cracked windscreen and 3000km overdue for a service. After forking out for the tyres and driving it to the windscreen repairer, my wife Viv rings to advice that a second C has arisen. Her Car, with over 450,000kms on the clock has overheated, died, demised, ——– snuffed it. Cancel the windscreen job to drive her to work in Bunbury, await mechanic confirmation that indeed the Car has totally demised, cracked head and all ( bit like mine at the time ), so while Viv is at work I start researching second hand cars to buy in Bunbury. During this research period the third C rears it’s ugly head and my Computer dies, or has a Coronary at least and the news from the IT doctor is that a new one is the only sure remedy. Righto, time for a deep breath, as the rest of the day I am entering the dreaded world of used car yards, high pressure sales, sweaty handshakes, deals, deals and more deals. Now I have a bit of history here, as when I was 19 yrs old I tested my then limited skills and took on used car yards at Parramatta Rd, Sydney, where there are literally hundreds. Armed with clip folder, pocket full of cold hard cash and attitude to match, I thought I could meet the challenge. 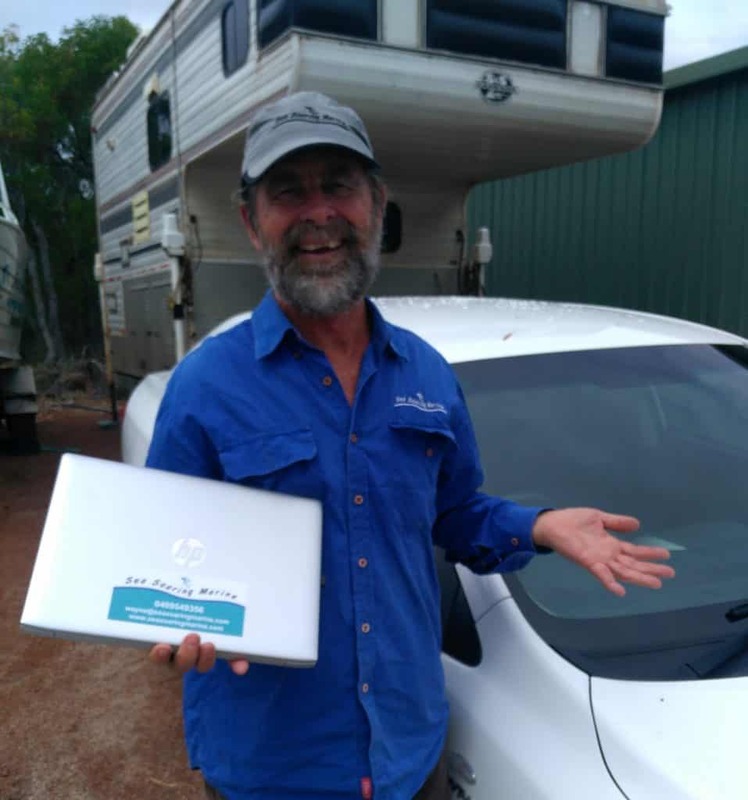 After being boxed in at the second car yard by the manager, who was incensed that after haggling on price for a V8 HZ Holden for over an hour I was going to walk away, I realised I was not quite up for the task. Burned out and broken, I bought the very next HZ I saw down the road. This time in Bunbury I was again armed with cash, thinking I would be able to at least haggle a little. I was only seeking Toyota Corollas and on arrival most dealers were happy to leave me to check out the vehicle in my own time, available for questions when required. I was anxious, thinking this was the old good guy approach first and then the bad guy would lunge across the car door, but not to be. Toyota Bunbury were especially customer oriented, in fact so pleasant and relaxed I almost forgot I was preparing to haggle. When we finally cut the deal, the dealer calmly explained that the haggling days were long gone, the best they could offer was $650 off the asking price, I could basically take it or leave it and did I need to go for some lunch and visit the bank? He didn’t know who he was dealing with. When I produced my envelope of cash ( Viv called it the green brick ), he was taken aback, possibly thinking I was laundering money, but we both laughed as he had to hand it over to the secretary to count and I awaited my $74.60 change. C you next week!